Apple have filed a complaint with the World Intellectual Property Organization in relation to the use the iPhone5.com domain by a third-party. Apple havn't yet released the iPhone 5 and may never do so, but it seems they are unhappy about the use of the iPhone 5 domain either way. The patent laws relating to domain names were changed a few years ago and our understanding is that Apple should be given owners of iPhone5.com. 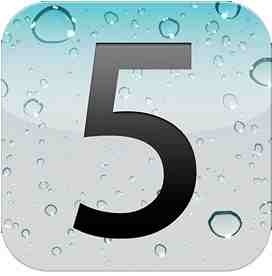 However, users at the fan forum currently live on iPhone5.com have promised to battle Apple as best they can ! The fact that Apple are battling for this domain suggests they place some importance on obtaining it. This could imply that the next iPhone to hit the market could well be the iPhone 5. Apple already tricked the whole world when it unveiled the iPhone 4S and the same could well happen again ! However, our instincts tell us that the next revolutionary iPhone will be called the iPhone 5 which is why Apple are trying so hard to obtain this domain. As soon as 3G hears anything more on the matter we'll let you know !